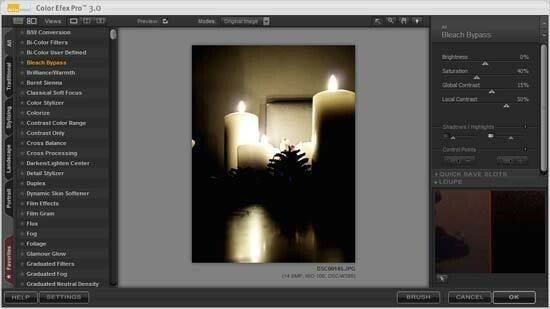 Color Efex Pro 3.0 is a plug-in for Photoshop, Lightroom or Aperture that adds digital filters to your photographs. With 52 filters to create over 250 effects in the Complete Edition, this third instalment should be able to provide a filter for almost any scenario. Nik's unique U Point technology provides the ultimate control to selectively apply enhancements without the need for any complicated masks, layers or selections. Color Efex Pro costs $99.95 / 99.95 Euros for the Standard Edition, $159.95 / 159.95 Euros for the Select Edition, and $299.95 / 299.95 Euros for the Complete Edition. We were really impressed with the speed of installation. It took a couple of minutes to download the file to our computer then around five minutes to unpack and install the program. While installation is going through, Color Efex Pro will scan your computer to find compatible programs to work with. For this review, we chose to operate it on Adobe Photoshop CS4. To start the program, you need to have an image open first. 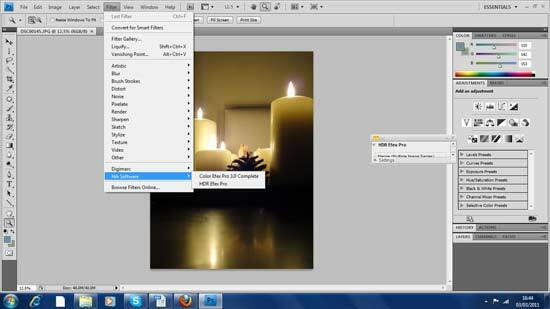 You can locate Color Efex Pro 3.0 in the Filter tab towards the bottom. Once open, the program loads the first filter in the list automatically. Ideally, I'd like to see no filters applied initially so I can see the changes more effectively, however the first filter is a black & white, so it's not exactly subtle. Upon first inspection, the interface looks quite intuitive. Towards the top left of the window are a few icons for adjusting the view of the window. You can choose from full size view or split the preview screen. Running over to the right of the window, are a few quick selection tools such as zoom, pan, change background and select. 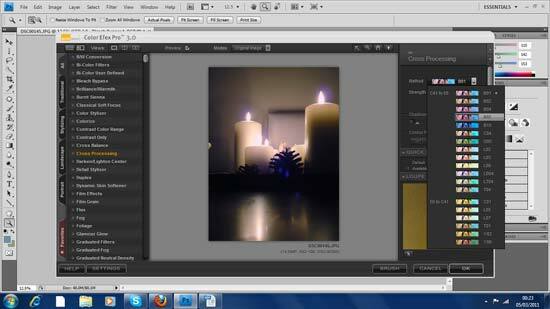 The main image sits centrally while various tools and options surround it. To the left are the filters available which can be whittled down to different genres depending on your tastes. There are nine new filters and within some of the filters are extra features such as the Film effects option which has 30 different film filters to choose from and the Cross balance which allows you to select tungsten or daylight casts. It's worth looking on the Nik website to see whether you get all the filters because some are only available on the select or complete editions. To the right of the selected picture are the fine tuning adjustment options. For example, on the black & white conversion that comes up when you first open the program, there are three sliders to change the strength, brightness and contrast as well as a filter colour slider. You can also adjust the highlights and shadows which can be expanded to show a histogram. Keep an eye out towards the bottom or you'll miss the extra features that are hidden behind the Loupe. This Loupe is really useful with a split screen for a before & after preview but there are other options under it such as control points and quick save slots. One of the cooler bits that I like is the filter selection arrows at the top. The arrows scroll through the different filters in the list to the left. Control points utilise Nik Software's U Point technology which allow local adjustments. All you have to do is select the point on the picture that you want to edit, change the size and you can control the opacity of the filtration in that area. There nine new filters that have been introduced to Color EfexPro 3.0 but they vary on availability dependant on the version that you get. However, it's worth noting that the standard version has none of the new filters, they're only added to the select or complete versions.